Need to know where to start decorating your room? This consultation provides colour and decorating guidance to get you going. You’ll get two mood boards, complete with live source links, for the colour and style of your furnishings, area rug, accents and paint colour. With Maria’s expert direction, your room will come together beautifully in no time. Get me Started Decorating Advice – Where do I start? This is colour and decorating advice from Maria for one room via photos and email. 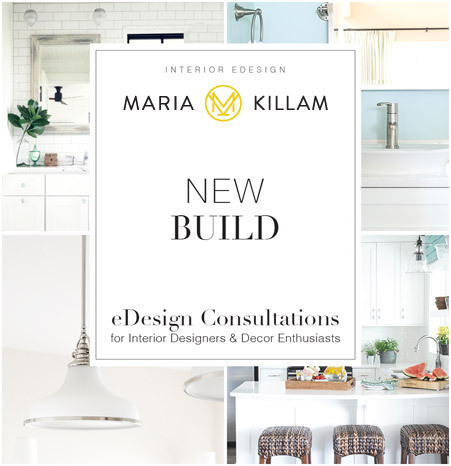 This consultation is for you if you need to decorate and you are not at all sure where to begin, we’re here to help get you started. With this package, we will give you colour direction for the ‘look and feel’ of one room. This is typically your great room, but you can use this package to decorate any room including a bedroom, dining room or study for example. She will create decorating inspiration and colour palette ideas just for you so you can begin creating a room you love. You will receive two mood boards including ideas for cushions, area rugs, and colours for furnishings. Most items will have links so that you can source them directly for your room. Once you have a fresh and beautiful colour palette, you can repeat it in your adjoining rooms to create flow, making your decorating project much easier and more fun. What most people need is a starting point. What needs to be considered? How many colours is too many? Do neutrals count as colours? This might sound like some of your questions, especially if you’ve read a few of my posts already. Most people think that if they just get their paint colours nailed down, the rest of the colour scheme will somehow come together. Unfortunately, this will not help very much. In fact, starting with a decorating plan based on at least one inspiration piece is where to begin and paint colours should usually be LAST, not the other way around. However, if the painter is coming and you need some colours, consider our paint colour bundle here. The easiest way to create a starting point is with throw pillows and an area rug. Now it becomes obvious which colour sofa and chairs you’ll need. This package will NOT give you an entire furniture layout for your living room. We don’t offer this package at this time because it gets very complicated and expensive to design an entire room via email. In order to help create a room that is perfect for YOU, we will get a sense of your preferences, lifestyle and budget with a detailed questionnaire. You will send us some photos so we can carefully consider your specific room (don’t worry, we will send you detailed instructions for taking the photos we need). We will ask you for an idea board or Pinterest board to get a good sense of what you like. You will send us a link to a photo album with images of your room in natural light from several angles. Your Get me Started package will arrive in your inbox 10-15 days after we receive your complete photos and information. Obviously, if we need more information from you before we begin, this timeline will be somewhat delayed, but we strive to get back to you as quickly as we can because we know you are excited to get started on your project. We will carefully consider your preferences, lifestyle and budget to inform our selections for you, and we hope that often, the exact item we suggest will work out perfectly for you. However, within the scope and price point of this service, our recommendations are primarily intended as inspirational guidelines so we cannot guarantee availability or a perfect fit for each element. If you would like additional suggestions for any of the elements in our plan, you can use our quick and easy Colour Question eDesign consultation and we will happily generate another option for you. We look forward to collaborating with you on your decorating project!